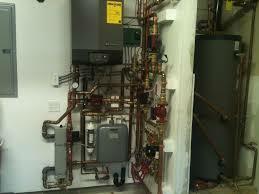 As a contractor, your installation is your calling card. If your installations are sloppy, ugly, and take up a ton of space, chances are you’re not getting any return calls, let alone recommendations. However, a clean installation that saves space and looks great can generate return business and word of mouth advertising. That’s why we’re adding Zilmet’s flat expansion tanks to our roster of hydronic accessories. If you haven’t seen one of Zilmet’s flat expansion tanks before, you might be skeptical as to how much different they really are compared to standard tanks. One look at the photos below and you’ll get an idea of just how much of a difference a Zilmet tank makes when compared to a traditional one. Able will be stocking 2.1- and 4.8-gallon models. The former has a depth on 3.7″ while the latter clocks in in at 6.2″. Have you ever seen a 5-gallon expansion tank that was only half a foot from front to back? Zilmet flat tanks are the perfect size to complement condensing boiler installs. In addition to their svelte form, Zilmet tanks have a few more tricks up their sleeve when it comes to ensuring a smooth installation that looks great. For one, every Zilmet expansion tank includes a welded mounting bracket. This integral mounting solution makes installing the Zilmet tank quick and easy. Zilmet suggests pre-mounting the expansion tank to a control board to save even more time. Zilmet flat expansion tanks also include a union with a double service check. This streamlines the installation process by eliminating the need for extra components and it makes it even easier to squeeze the tank into a tight spot. Zilmet has been designing and manufacturing expansion tanks for over 50 years and they stand by their products with a full five-year warranty. 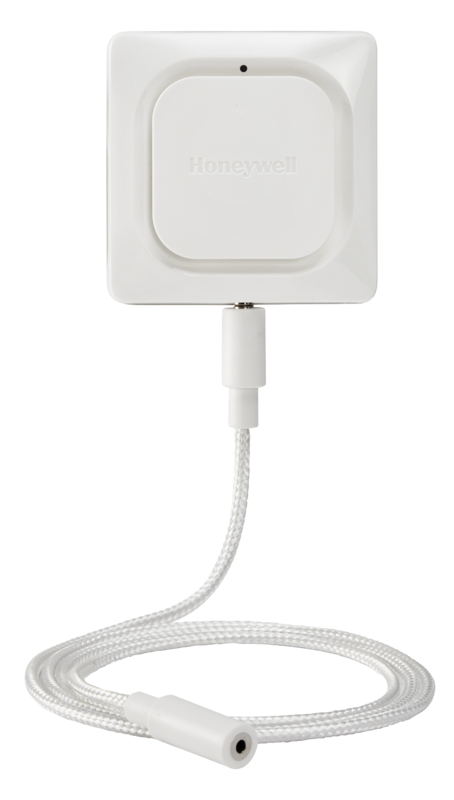 While we’re on the subject of new hydronic accessories in the Able Distributors catalog, we’d be remiss not to mention the Honeywell Lyric Wi-Fi Water Leak and Freeze Detector. This accessory provides tremendous value to your customers while helping you increase your average ticket value. Billing it as a hydronic accessory probably isn’t fair on my part. While it does go great in mechanical rooms or next to a water heater, it can also be used with attic air handlers and in laundry rooms. Whenever the sensor for this device comes into contact with water, it automatically sends a notification to connected smartphones and an email to connect email accounts. This allows customers to call you when a leak is forming rather than after inches of water have accumulated. 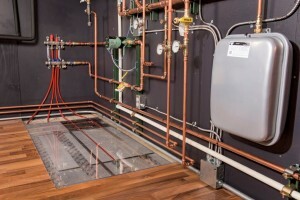 This can save homeowners hundreds, if not thousands, of dollars in the event of a leak and it gives you an in to provide additional services. If you’re interested in adding either of these products to your truck, just tell your local Able branch!